Evan Jacoby is a regular contributor to RTC. You can find him @evanjacoby on Twitter. Last 5 Years – Recently, Syracuse holds a 6-4 edge in meetings since 2007. Each team has won at least once on the other’s home floor, with the road team actually winning the past three games of the series and the home team winning the previous seven. The Hoyas made the Final Four in 2007. Last 10 Years – Going back further in the decade, the Orange were more dominant, holding a 12-7 total lead in the past 10 years of games. They won five in a row at one point from 2003-05, which includes their 2003 National Championship season. Last 30 Years – Syracuse holds a 36-31 overall advantage in all matchups since 1980, with a total average score of 71-71 in those games. Pretty crazy. They are also in a 6-6 tie during this span in Big East Tournament matchups. 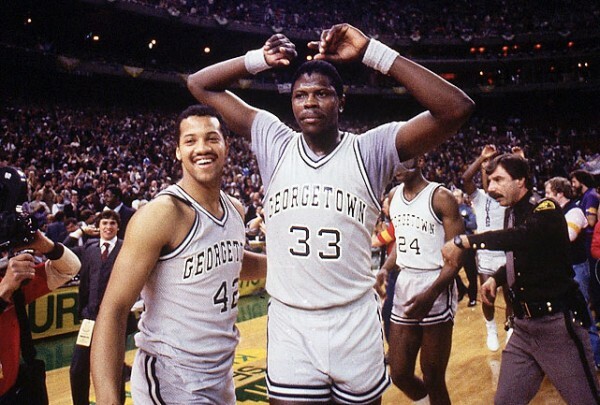 Each team holds one National Championship during this time, as Georgetown got theirs in 1984. The Hoyas have four Final Four appearances, the Cuse with three. This is a truly juggernaut rivalry of Big East supremacy. Last 5 Years – North Carolina has a 6-5 edge in meetings since 2007, with each team having been crowned National Champions once during this recent history. Carolina made the Final Four in both 2008 and 2009, while Duke was the champion in 2010. Home court advantage is nearly a non-factor recently, as the road team is 5-6 in this period. Last 10 Years – Duke was the much more dominant team earlier in the past decade, going 8-3 in the rivalry from 2002-06. Each team reached the Final Four, with UNC crowned as National Champions once again in 2005. Overall, Duke leads 13-11 in the past 10 years with each team taking four road games. Last 30 Years – North Carolina holds a slight 38-36 edge in all matchups since 1980, with a total average score of 78-78 in the games. Again, an incredibly close matchup here. Duke has gotten the better of the Tar Heels during their ACC Tournament matchups, holding an 8-3 edge during this span. Incredibly, each team has made exactly 11 Final Four runs and won four National Titles during the past 30 years. That’s why this is the best rivalry in the game. Tonight, Georgetown and Duke are the road teams in these games. Syracuse and Carolina are each the higher-ranked team and are expected to win, but things never go as planned in intense rivalries like these. This could be one of the final times that the Hoyas and Orange meet as Big East rivals, as Syracuse is headed to the ACC by the 2014 season and possibly before then. It will be awesome tonight, so tune in to the ESPN double-header starting at 7:00 PM ET. This entry was posted on Wednesday, February 8th, 2012 at 3:07 pm by EJacoby	and is filed under rtc analysis. Tagged: acc, big east, blue devils, cameron indoor stadium, carrier dome, coach k, Dean Smith Center, duke, espn, final four, georgetown, hoyas, jim boeheim, john thompson III, mike krzyzewski, national champions, north carolina, Orange, patrick ewing, roy williams, syracuse, tar heels, Verizon Center. You can follow any responses to this entry through the RSS 2.0 feed. You can leave a response, or trackback from your own site.